Watch the following video and learn about the repair practice of kintsugi (gold joinery). 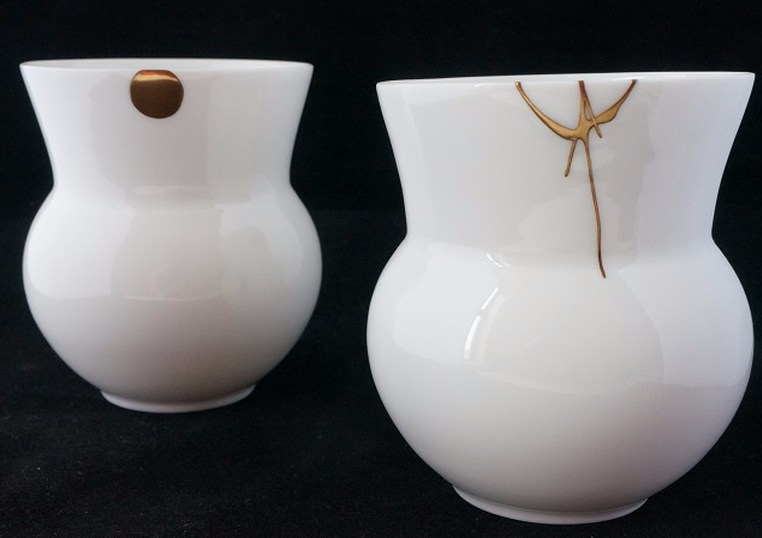 Lacquer, the base of kintsugi repair, has been used in repair for nearly 1000 years in Japan. – Are there similar practices of repair in your home country? – What kinds of material systems and cultural values do you think enables a process of repair such as kintsugi to be practiced and refined over hundreds of years? Gen Saratani is a repeat guest to Sustainable Systems courses at Parsons. He manages the only kintsugi repair shop in New York. Growing up around lacquer artists, he was surprised to learn that most people in Japan hold lacquer at a distance, thinking it’s “too expensive or complicated.” His goal is to make it “natural for all people” to work with lacquer, teaching them techniques to repair their own broken ceramics. Learn more about his work here. – What questions do you have for Gen about kintsugi? Which of the Long Life Design criteria does kintsugi fulfill? Are you interested in this kind of repair? In what ways? Do you think you have the patience to enjoy a process of slow repair? Do you think a long and careful process of repair can make an object more meaningful? Does this kind of repair seems like its own art form, rather than just repair? Do you think repaired kintsugi designs can become more interesting than the original?